Dehydration is a lack of water in the body, and can cause serious complications for pets and people alike. Water is essential to all living beings, including dogs, who depend on proper daily fluid intake to maintain appropriate health. It makes up 80 percent of your dog's body, and dissolves natural and unnatural substances as well as serves as the root of all his biological processes, including circulation, digestion and waste removal. Dehydration occurs when fluid levels drop to less than normal. This is due to either reduced water intake or increased fluid loss. Fluid loss can be due to overheating in hot weather or a bout of vomiting or diarrhea, especially in puppies. What Are the General Symptoms of Dehydration in Dogs? What Should I Do If I Think My Dog Is Dehydrated? Dehydration may indicate a serious underlying problem. If you suspect that your dog is dehydrated, take him to a veterinarian immediately. You may be able to detect dehydration at home by gently lifting the skin on the back of your dog's neck or between the shoulder blades-unless your dog is seriously overweight or very thin, it should immediately return to a normal position. If he is lacking in fluids, the lifted skin may not quickly return to normal. Often, however, the signs of dehydration are not obvious, and only a veterinarian can provide proper diagnosis and treatment. Are Certain Dogs Prone to Dehydration? Provide clean water at all times, and change it frequently to ensure freshness. Also, don't forget to wash your pet's water bowl every day to prevent bacteria from forming. Monitor your dog's water intake. Generally, a dog needs at least one ounce of water for each pound of body weight per day. If your dog is not drinking an adequate amount of water, seek veterinary advice. Monitoring water intake is especially important if he's recovering from diarrhea, vomiting or other illnesses. Purchase a water bowl with a weighted bottom to prevent your dog from knocking it over. Bring extra water when you're traveling or exercising with your dog. If you notice your pet is drinking less than usual, check his mouth for sores or other foreign objects, such as burrs or sticks. Avoid chaining a dog outside, since he may get tangled up, preventing him from accessing his water bowl. Keep your toilet lid closed to interrupt your dog's efforts to turn the bowl, which can be a source of bacteria, into a water fountain. When an animal does not feel good they stop drinking. At the same time, fevers or other disease processes can greatly increase the animal's need for water. When these two occur at the same time an animal rapidly becomes dehydrated. Replacing lost fluids and preventing dehydration is one of the most important aspects in the treatment of all sick animals. Try to encourage the dog to drink. If the dog cannot be encouraged to drink, then the fluids are replaced through intravenous or subcutaneous routes. Some diseases like kidney failure or diabetes mellitus cause the animal to drink more water and urinate more frequently. The one time we do not offer a sick animal water is when it is vomiting. Many times, food and water is withheld for twenty-four hours while the animal's stomach gets a chance to rest. But never withhold water for more than twenty-four hours. An animal that continues to vomit will need immediate veterinary attention and supplemental intravenous fluids. Lifting the skin on an animal’s back and watching how quickly it snaps back is a rough indicator of dehydration. A healthy animal's skin snaps back immediately, a dehydrated one goes back slowly over several seconds. If you suspect your animal is dehydrated seek medical attention. Not all water is created equal. The amount of total dissolved solids is a useful overall index to the quality of drinking water. 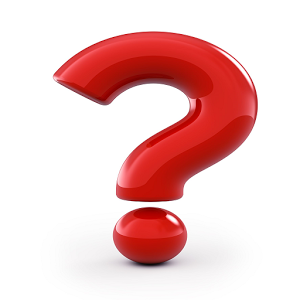 Water containing less than 5000 parts per million of total dissolved solids is considered acceptable for pets. Water containing more than 7000 parts per million is considered unacceptable for livestock. All untreated water can harbor bacteria, viruses, and parasites. Giardia is one of the most common problems acquired through untreated water. Household tap water is considered to be very safe, though just as with people, water that is high in nitrates, iron, or magnesium can pose long term health risks. Many pet owners give their animals bottled water if their source is questionable. However, the finest water in the world will not help if it is placed in a dirty container. Unwashed water bowls can harbor all kinds of bad organisms. Water bowls should be washed daily and disinfected periodically. Stainless steel bowls are the easiest to keep clean and resist scratches that can harbor bacteria, stoneware crock-style dishes are also a good option. Buy a good quality bowl and after it starts to look worn and scratched, replace it. Remember that if you would not drink the water from your pet’s bowl then neither should your pet. One other consideration in quality is temperature. Pets prefer cool water in the summer and room temperature water in the winter. If you have an outside pet be sure to provide them with a heated water bucket or container. Snow is not an acceptable form of water for dogs or cats. Water consumption is closely related to performance. Sled dog racers have known this for years. They will go to great measures to ensure that their dogs consume water on a very regular basis and will stop frequently to warm and flavor the water with beef broth to ensure that the animals stay well hydrated. Dogs that drink during exercise stay cooler and are able to burn glucose more effectively. One study showed that dogs that were given water during exercise increased working ability by 80%. Water is the basis for life. Give your dog free choice water of the highest quality. Sick animals and working animals respond much better if properly hydrated. 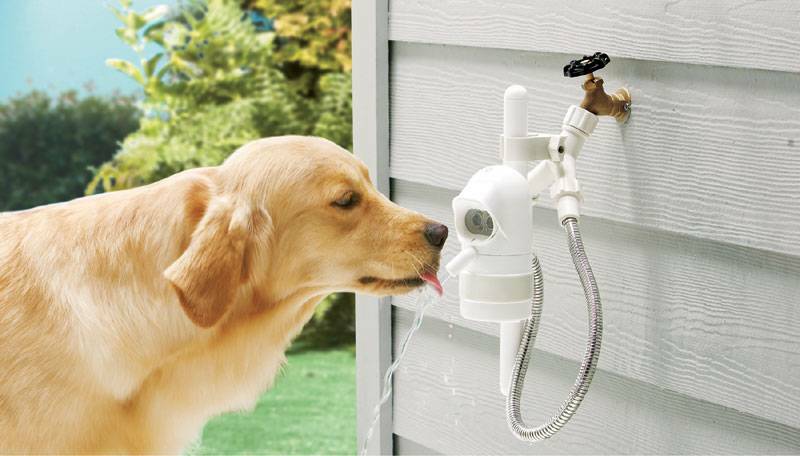 So every time you turn on the tap for a drink of water do not forget to give your dog a drink, they are thirsty too.